This year brings the 10th anniversary of Record Store Day and, as with every year, there are a slew of special releases to try and locate at your favorite indie record shop. While most media attention often hinges pop music performers like Prince (especially this year), the vinyl boom also has bounty for classical music fans. Here are a few highlights for the classical music lover (and film music lover) on the hunt. One of the more significant releases for any classical music fan. According to the Record Store Day website, "In the 1950s roentgenizdat — or X-ray publishing R became a trend in Soviet counterculture. 'Bone music' and 'rock on ribs' are two other terms that describe these bootleg recordings of music from the West, ingeniously cut onto X-ray film discarded by hospitals. 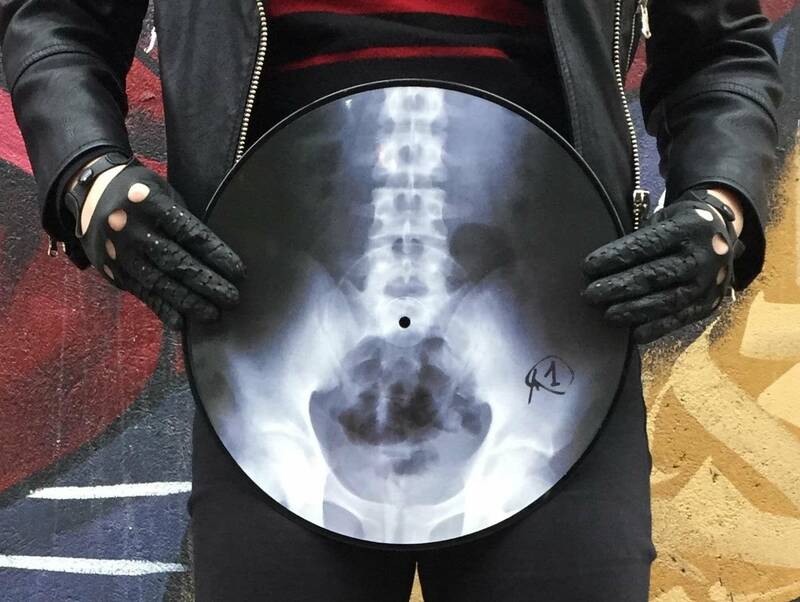 This Record Store Day release carries an X-ray image of a spine and pelvis — and a 1967 recording that has its own underground history: when the great cellist Mstislav Rostropovich was exiled from the USSR in the 1970s, a resourceful Soviet archivist saved the original tape from destruction by hiding it in a mislabelled box. It is Rostropovich's world premiere performance of the Cello Concerto No. 2 by his teacher and mentor Dmitri Shostakovich, recorded live in the Great Hall of the Moscow Conservatoire with the USSR State Symphony Orchestra under Evgeny Svetlanov. This is its first release on vinyl." While this release of Bruce Boughton's score to the cult classic The Monster Squad has been available for a while, Mondo is celebrating its 30th anniversary by releasing the score with all new cover and insert art by James Flames for this Record Store Day. This release marks the first time Trevor Jones's score has ever been available on vinyl. Comemmorating the 35th Anniversary of the film, the release features the Richard-Amsel-designed poster as its cover with a pressing on 140 gram "Crystal Clear" vinyl and "upgraded 400gsm thick LP jacket limited worldwide pressing of 2000 copies." This score was specifically arranged for an album listening experience, allowing those familiar and unfamiliar alike to take pleasure in the music as an album. The music was "recorded by the London Symphony Orchestra at the legendary Abbey Road studios in 1982." It's difficult to overstate the importance and influence of composer Meredith Monk, who was awarded a National Medal of Arts by President Obama in 2015 in recognition of her multifaceted efforts in music, theater, dance, art installations and film. "Key is her groundbreaking debut album from 1971 and this is the first reissue on vinyl since 1978. Includes original art from the 1971 release." Part of Dr. Who’s success has always been its mishmash of music and sound effects. Featuring green vinyl for the music, "as an added bonus the gatefold release also comes with Dr. Who sound effects on orange vinyl." This also comes with original artwork to impress every Dr. Who fan. Blade Runner celebrates its 35th Anniversary this year and with it comes this first time "picture disc...housed within a die-cut single sleeve jacket." Vangelis truly changed the landscape of cinematic scoring with this release, and the limited printing of 7,500 will be a collector's item for any fan. With all the new Star Wars movies coming out it may be hard to remember that A New Hope is celebrating its 40th anniversary next month. "This nostalgic 10" RSD exclusive features two tracks from John Williams's incomparable score from the film that kicked off a legendary franchise." Mondo is working with Death Waltz to release the Blue Vinyl Version (Red Vinyl is UK only) for this one-off pressing that also comes with a DVD featuring the short film Abdullah. "Maiovvi's score is a powerhouse tour de force featuring his signature raw electro sound blended with traditional Turkish sound structures and instruments." You can see the film over on Indiewire and you can take a listen thanks to Mondo. "12" picture disc with a die-cut image of the legendary Lost In Space robot, packaged in a die-cut jacket with a full-color inside print." Vitamin String Quartet are longtime contributors to Record Store Day; always crafting something vital and unique for their special releases. Having covered the likes of Daft Punk, Radiohead, and Modest Mouse with previous recordings, this year's release may prove to be their most ambitious as they attempt the output of Kanye West. The record is a black 180g vinyl, comes with a download card and features a full-color sleeve. Garrett Tiedemann is a writer, filmmaker, and composer who owns the multimedia lab CyNar Pictures and its record label American Residue Records.